“I would make an exception for children who should get medical treatment inaccessible in Russia. I think this law would be reconsidered more than once even if the President will sign it tomorrow or the day after tomorrow. 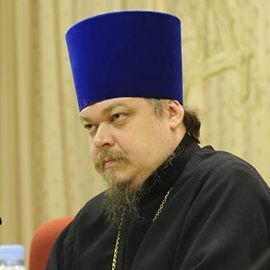 There, certainly, can and should be exceptions,” head of the Synodal Department for Church and Society Relations Archpriest Vsevolod Chaplin said at a press-conference in Moscow. “Perhaps, an exception should be made for such children. Perhaps, our state could support them and send them to be treated abroad,” the priest said. He sees several “moral problems” in adopting our children by foreigners. “The most difficult of them is the following: there is an industry in the country that takes children abroad for money. Moreover, there are serious grounds to believe that there is another industry linked to it – the industry of taking the children away from families,” Father Vsevolod said.